Gone are the days when all you take travelling are a spare pair of pants and a useless quick-drying towel. 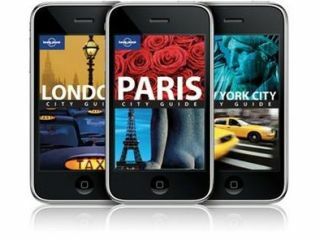 Lonely Planet knows this, and that's why it has lost a series of guides for the iPhone and iPod touch. The e-guides can be personalised, with places marked as favourites, and can be easily searched with the use of keywords. And as they are in digital form, they can be easily dated – so if that four-star hotel you were going to treat yourself to has become a clip joint, you will be told. The release of the guides comes after a free version of the San Francisco guide was a hit on the iTunes store. Head of Wireless and Innovation at Lonely Planet, Chris Boden, said about the new guides: "As the needs of our travellers have changed over the last 35 years, we've adapted our printed guidebook products accordingly, with new formats, series and destinations"
"We've tried to take advantage of the iPhone's location awareness, vast data storage and simple user interface to re-imagine our city guidebook series to help travellers get to the heart of some of the world's most exciting cities from the convenience of their hip pocket." 20 guides will be available from the iTunes store, including ones on London, New York and Dubai, and they will be available for £9.49.